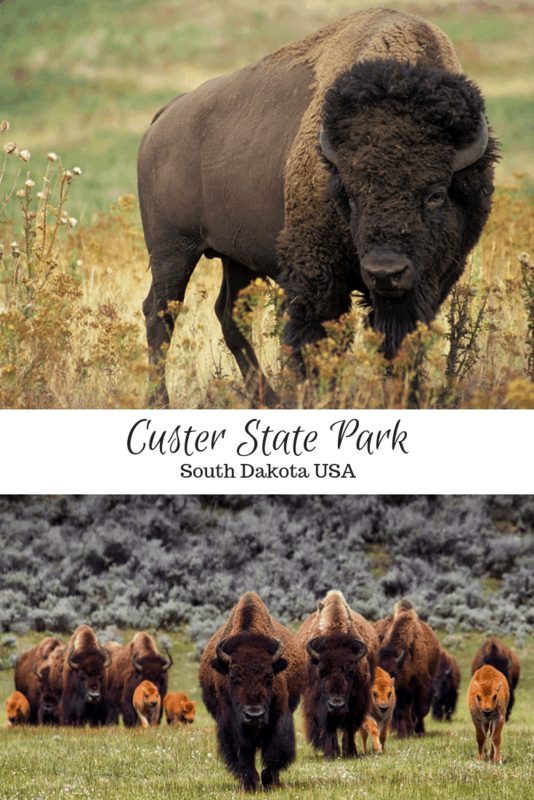 So you are probably wondering how to find your great place and what that has to do with Custer State Park in South Dakota? What does that mean and why am I writing about it? Truth is, your great place, and in this case, my great place is a spiritual rather than physical location. It’s a state of mind, a moment when you find something that was totally unanticipated and the connection you experience at that moment. Trust me, this can happen in even the largest of tourist destinations. I know because I was lucky enough to experience it several times last year. Mr. Misadventures and I were truly blessed to be able to visit so many wonderful national and state parks during our year on the road. It has given me a deep appreciation for the phenomenal park assets that the United States has to offer. I highly encourage you and your families to get out there and explore our parks. When I think back over the last year and the parks we visited, my great places had one thing in common. Buffalo. Last year was my first time seeing these beautiful beasts in the wild and I immediately fell in love with them. They are magnificent animals and I felt an instant connection with them. I wish there were more places to see them in the wild. And that’s the main reason I am dying to visit Custer State Park. Last fall when we left Wyoming heading to visit our RV manufacturer in Alabama, we drove through South Dakota. We drove through the badlands and the black hills. We stayed one night in Rapid City and were literally 30 minutes away from both Mt. Rushmore and Custer State Park, but despite really wanting to go, we were unable to work it into our travel schedule. I swore then and there that we would be back. I really think the Black Hills region of South Dakota has a lot to offer. 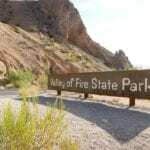 It is a great spot for a family vacation with unique adventures like wildlife viewing, dude-ranching, gold-mining, hiking, fishing, with a little bit of history and American culture thrown in that will satisfy your inner educational needs. Truly a one-of-a-kind vacation experience. But my big plans lie with Custer State Park. And their 1,300 buffalo! A buffalo herd in Custer State Park. They have a really unique activity at Custer State Park, a buffalo round-up! Taking place every year in September, cowboys and cowgirls round-up the park’s herd, if you are good on a horse you can even volunteer! I’d love to see it happen! It starts at 9 in the morning and the park hosts a pancake breakfast to fuel you up for the big event. There is also an art festival with 150 vendors showcasing fine arts and crafts products from South Dakota. During the festival, you will be entertained by Western and Native American music and dancing. Annual buffalo roundup at Custer State Park. Photo credit: South Dakota from Flickr. The round-up is over by noon leaving the rest of your day to explore more of the park. Custer State Park in the Black Hills encompasses 71,000 acres. That means it’s a great space for hiking, hunting (in season!) and fishing. There is the 18-mile Wildlife Loop Road where you’ll see buffalo, deer, elk, pronghorn antelope, and bighorn sheep. 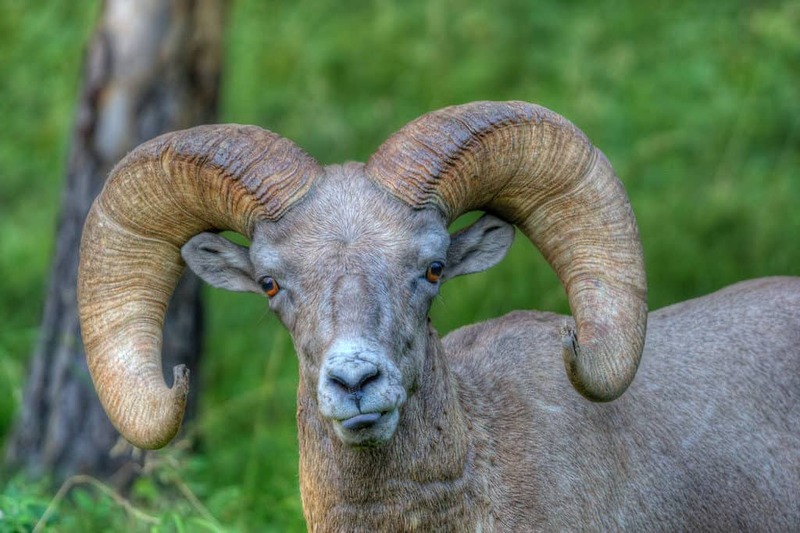 Bighorn sheep in Custer State Park. Photo credit: Matthew Paulson. The park is also known for its friendly burros. I do have to stop for a PSA. Please do remember that all the wildlife in the park is that, wild and you must keep a safe distance. Buffalo are very dangerous and can attack. The burros are the only wildlife in the park that are considered friendly but even they can kick or bite. 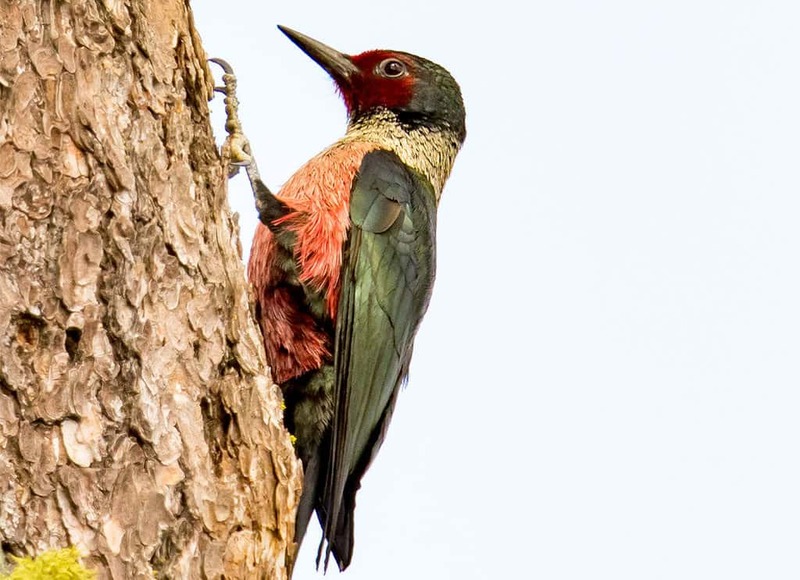 If you are into birds, you are in for a real treat. 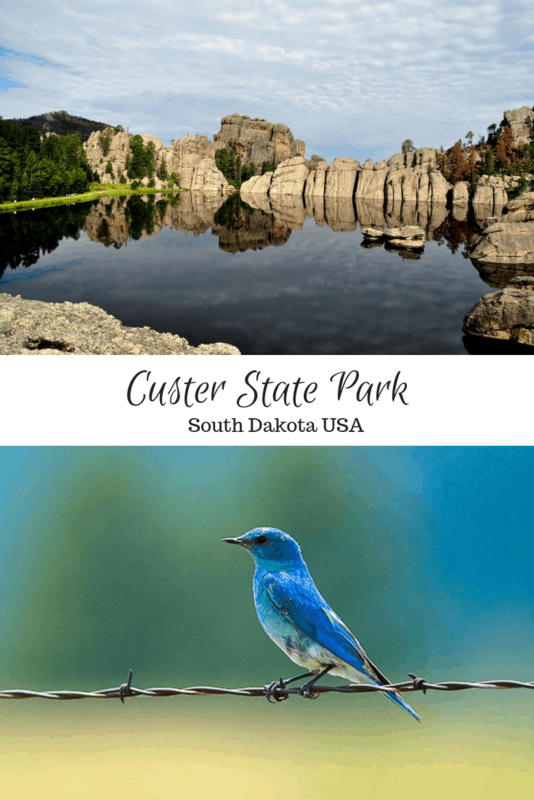 Custer State Park has 200 species for you to enjoy including the prairie falcon, Lewis’s woodpeckers, and the gorgeous mountain bluebird. I’d really love to see a golden eagle as well, I’ve only seen the bald variety! Custer State Park offers a lot, not all of it focused on wildlife. Although, that will be my favorite part! There is the park’s namesake as well. You can hike along French Creek where General George Armstrong Custer discovered gold. You can check out the log cabin of one of South Dakota’s first poets, Badger Clark and you can visit the brand new visitors center to learn more about the region and park history. You can stay in the park too. Lodging options are quite varied. There’s the noble State Game Lodge along with resorts at Sylvan Lake and Legion Lake. Or experience what it’s like to be a cowboy or girl at Blue Bell, the park’s mini dude ranch. As for me, I’m really looking forward to checking out this guy! As you can see, with so much to offer, it’s easy to find your great place in South Dakota. Come find your family’s “Great Place” in Custer State Park! Experience wildlife, history, Americana and more in your own family adventure. How about you? 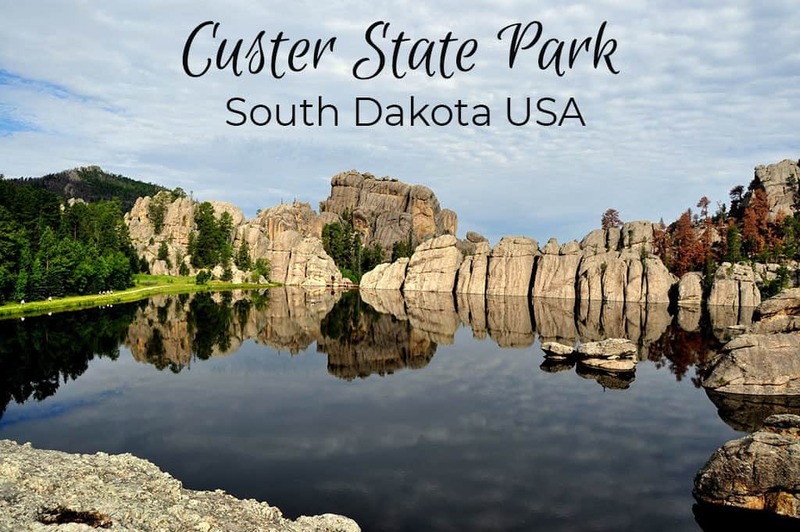 Have you been to Custer State Park? How about South Dakota? What was your favorite thing you saw or did? If you haven’t been, have I inspired you to go? Do tell! We recently moved to the Midwest and love adventures! 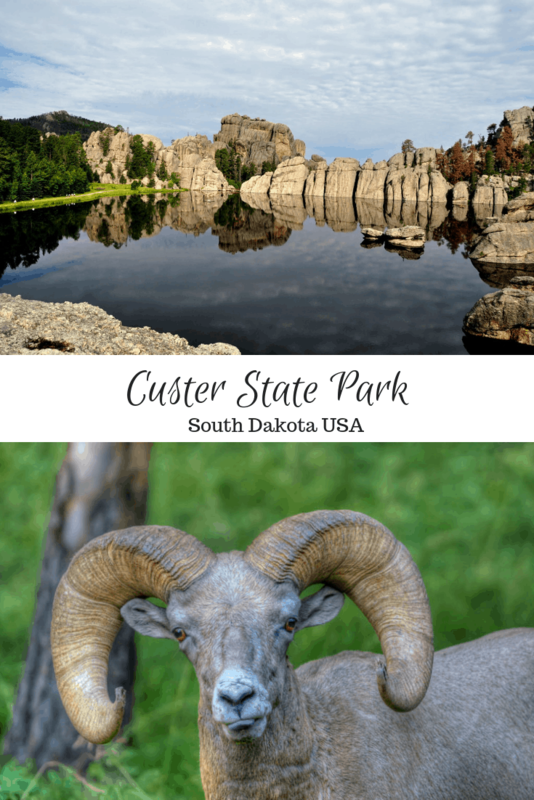 We will definitely add Custer State Park to our travel plans this year. @Melissa, I am hoping to get there this year, I want to see those gorgeous buffalo! @Melissa, you are not too far away, I hope you have fun exploring! 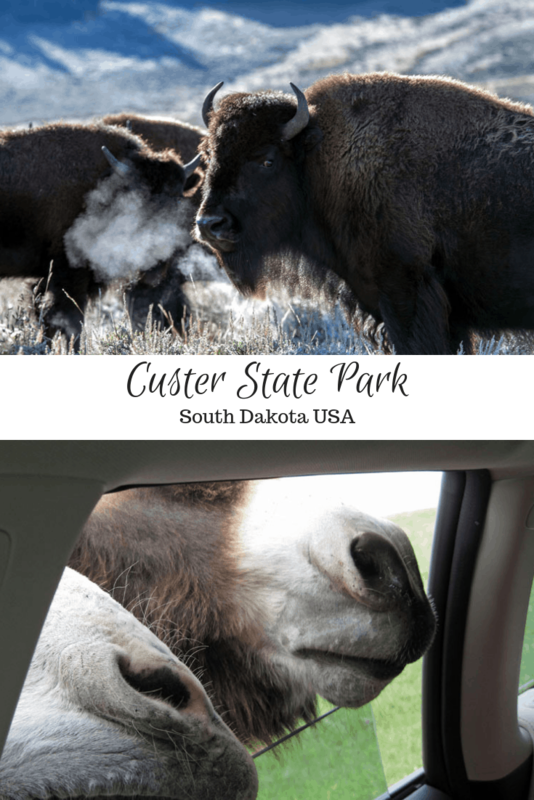 On our big three-month-long road trip through the West, Custer was one of my favorite parks. So under the radar but SO full of wildlife opps! Hope you make it there soon. @Kristin, me too, I want to see that buffalo round-up in September! What a beautiful place to visit. These photos are stunning. I can only image what it is like in person. What a gorgeous park and place. 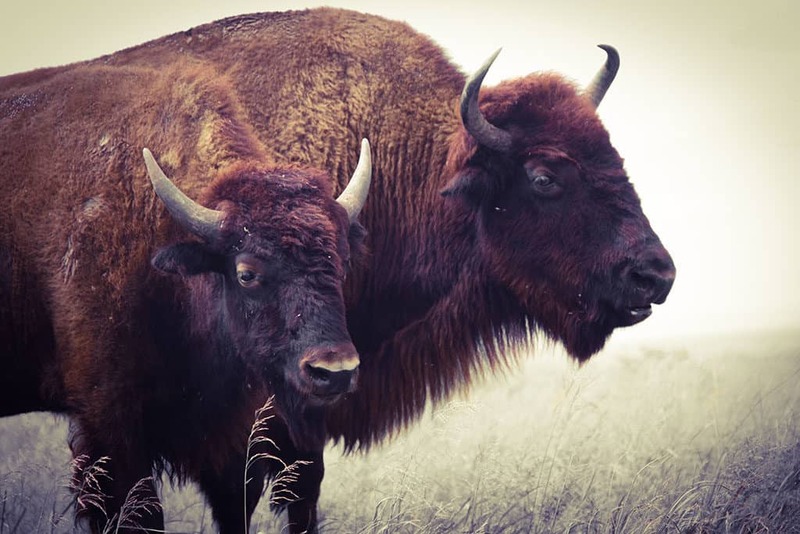 I’ve never seen buffalo in the wild but it would be amazing to see them and observe them. @Terri, I was SO surprised by how much I loved those big guys! South Dakota has never been on my radar, but I have to say this park makes me want to visit! Love that this place is so rich in wildlife. @Natalie, it wasn’t on my radar either, but I am so glad I got to experience it, definitely consider a trip there! The last photo made my jaw drop! The water was so calm and clear that the reflection of the sky and landscape on it was indeed an awesome sight. I would love to go on a trip like this. There is so much of nature’s beauty I have yet to explore! @Dogsville, I think these spots are hidden gems since a lot of people come for the theme parks, nature is truly showing off here! I was just telling my husband that I would love a vacation with a little more nature and a little less beach. This seriously looks like what I pictured. @Cindy, it is such a great area, and far less people than the beach. that was very interesting to visit! custer state park is very new to me! gonna have to check this out! I’ve never been in South Dakota and I know that place is such a beautiful spot! @Julie, it really is a gem! South Dakota is so beautiful! 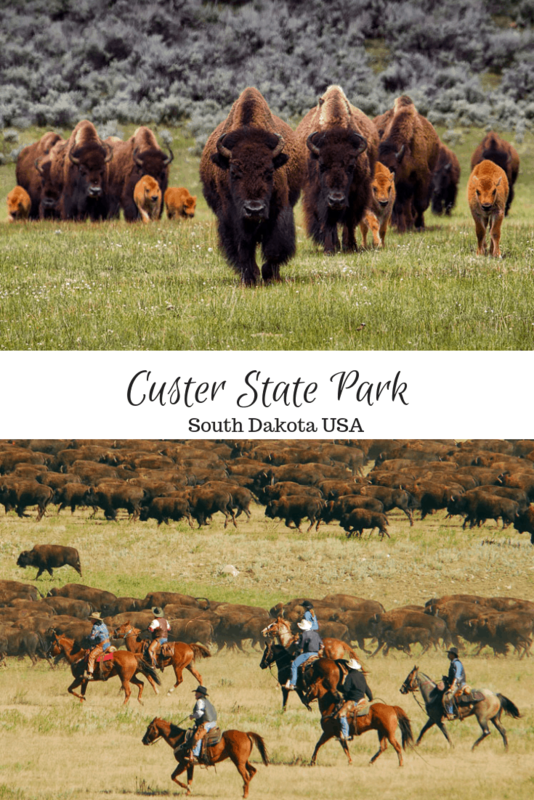 We have been there a few times, but we haven’t been to Custer State Park yet. We have to the next time we are in the black hills region. I love to see all the wildlife. I can’t believe how close the burros got! @Kait, they state is so underrated. It’s beautiful with quite a lot of things to do. Glad you’ve gotten to see so much of it. Oh my goodness what an amazing sounding place to visit, I have to say I would love to explore so much of America one day. @Sarah, I felt privileged to have seen as much as I have and want to explore more, I hope you get to as well! Oh wow! It’s so beautiful there! I’d love to take the family there and enjoy nature for a few days. @Stacie, it is awesome for families, lots of adventures to be had! I would love to visit South Dakota! The wildlife alone would be great to see! @Roger, they are so fun to watch! I have never in my life got to visit South Dakota but I would love to! I would enjoy seeing all the bird species and other animals. @Joely, hope you get there one day! I have never been to South Dakota, this place is definitely on my bucket list. Your pictures look amazing! @Kim, thanks! I hope you get there one day! Look at all those animals! They are adorable! I have never been to South Dakota but I would not mind making a visit there one of these days. @Lisa, it is so much fun to see the animals! I love all the photos. This is such a beautiful place to visit. I would love to go one day. I think we stayed at Custer State park the year that my parents took us to see Mt Rushmoore. I remember it being beautiful. From what I can remember, we didn’t see a ton of wildlife while we were there. 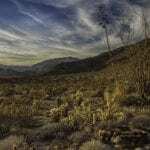 @UpRunForLife, I guess you need to go pack and see some more! It’s an amazing spot. I have been to South Dakota before! It is a great place to visit! It looks like you have showcased another great place to visit! @Jennifer, I was so lucky to see a piece of it last year, now I have to go back for more! I have never been to SD before. My friend went a few years ago and said it was great. Your photos make me want to go even more! @Amanda, I hope you get there someday! SoDak is one of the half dozen states I haven’t been in yet, planning to knock it out this summer on a two week out west trip. I know this place will be on the itinerary for sure. @Gabriel, after coming off a yearlong road trip in the West, I know you are going to have an AMAZING time! Oh wow, those are some great pictures! Did you take the first two? South Dakota sounds like it would be a great place to connect with the wild. I have never seen a wild Buffalo before . Thanks for sharing this amazing park and your experience. @Rebecca, the buffalo are amazing, I want to see them again and again! Great park! We spend many summer vacations in that area when I was a kid. There is so much to do just within the park, and then the surrounding area as well. I hope you make it there this summer! @Leigh, me too, the little I saw it looks awesome! I absolutely love South Dakota! 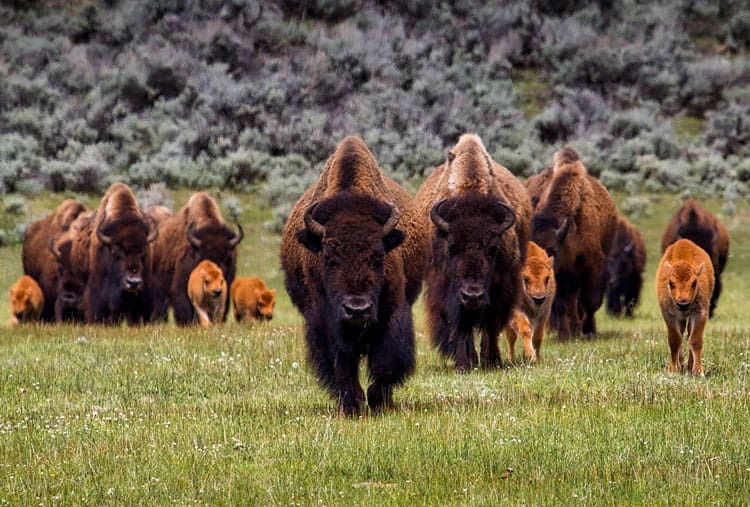 I can’t wait to take my kids to see all of the bison! I lived in South Dakota but sadly never made it to this park. Seeing all those buffalo would be an amazing experience! @Jenna, what part of SD did you live in? Did you get to see other parks? LOVE your pictures!!! Enjoy your travels! You have definitely inspired me to go Andi. I’ve never been to South Dakota, but man those buffalo are amazing. What majestic creatures. I’d love to see one up close, but thanks for doing it for me…until I can make my own trip! @Kelly, the landscape is quite gorgeous! Looks like a really cool place. I have been wanting to visit South Dakota for a long time. There is so much history and the landscape is beautiful. Maybe soon. @Bob, it is so underrated, but it really has a lot to offer. Wow I am in awe. 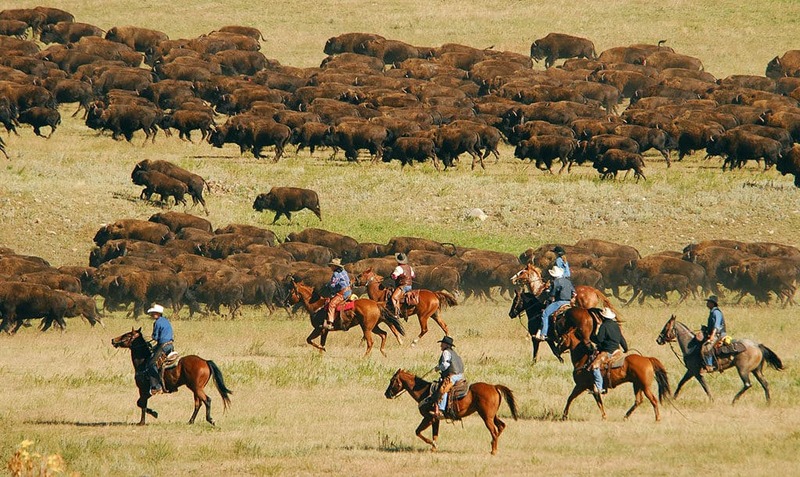 The buffalo roundup would be a sight to behold. The photos area spectacular but I know to see it in person would be amazing. What a cool spot Andi! @Murissa, I’d LOVE to see the round-up! 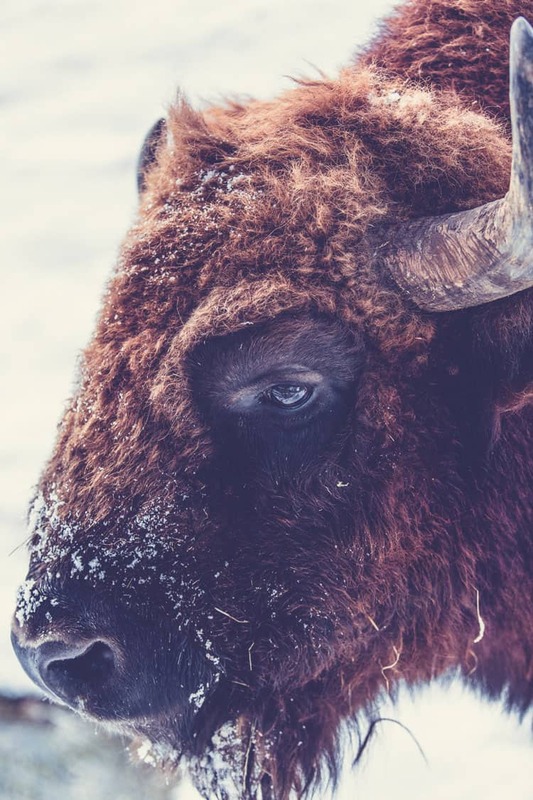 Do you have spots with any buffalo or bison in Western Canada? Oh wow, it looks like an amazing place! I’ve somehow still never been to that part of the country. Definitely adding the park to my travel bucket list, though! @Crystal, I’m not sure I ever would have without the RV, but I am definitely glad I did and totally want to go back! I love the buffalo photos! 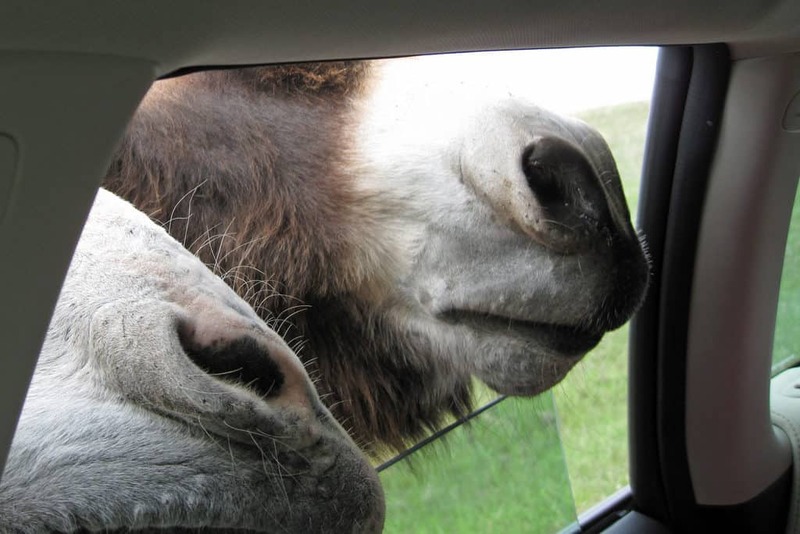 And I’d be happy to meet those adorable friendly burros. I’m planning on doing more North American travel this year (less in Europe) and I’ve added Custer State Park to my fast-growing list.